Your life is an adventure. Your active lifestyle is not confined to four walls, so you rely on your truck for work and play. The X009-RAM is the upgrade you need to keep up with your busy life from work to play. 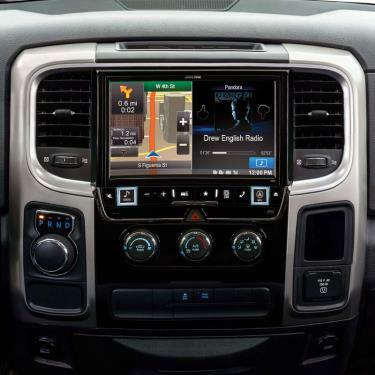 Keep your factory controls and add enhancements like navigation, customizable short-cuts, Bluetooth® wireless technology and sound settings optimized for your truck – all controllable through the easy-to-use, large 9-inch touch-screen. With its oversized screen, integrated system and advanced technology, this premium system will restyle your truck and provide you with a high quality driving experience.